The dog days of summer are finally here. That gives us the opportunity to pour down the stats on this year’s leaders in the music game. Technically speaking, the stats on 2013’s album and singles sales are under performing versus last year’s assessments. But there might be some light at the end of the tunnel. Streaming is up, illegal downloads are down, Billboard is counting streams to determine hit records and vinyl sales are certainly up. It might be surprise to some, especially after the New York Times jumped on the “vinyl comeback” bandwagon, but vinyl is making major strides in the world of music economics. Six percent of the first-week sales of Daft Punk‘s Random Access Memories — 19,000 out of 339,000 — were on vinyl, according to Nielsen SoundScan, which measures music sales. College-leaning rock bands are also part of the conversation, where the National sold 7,000 vinyl copies of its latest album, Trouble Will Find Me, and Vampire Weekend fans purchased ten-thousand copies of their 2012 album, Modern Vampires of the City. But of course, you’re still wondering who’s at the top of the mid-year album/single charts. According to data coming from Nielsen SoundScan, the top-selling artist of 2013 in albums and in singles happen to actually be the best-selling acts in the realm of R&B/hip-hop – technically speaking. Justin Timberlake‘s The 20/20 Experience has sold over 2 million copies – the only album to do so thus far in 2013. Rap duo Macklemore & Ryan Lewis leads the way as the best-selling act with the year’s best single, “Thrift Shop.” With over 5.5 million sold, the hit single is actually performing at the same rate as Gotye’s “Somebody That I Used to Know” did this time last year. Back to the year’s best performing albums: Bruno Mars comes in second place with the December 2012 release of Unorthodox Jukebox, selling close to a million copies. (985,000). And next in line includes Mumford & Sons‘ nine-month-old Babel (884,000 sold in addition to 1.46 million sold by the end of last year), Blake Shelton‘s Based on a True Story . . . (703,000) and Imagine Dragons‘ Night Visions (692,000). Overall, sales of digital tracks are down two percent, to 682 million this year, while album sales are down six percent, to 142 million. But don’t let that bit of news startle you. In the UK, music is booming. Daft Punk and Robin Thicke are both making major noise and are shaking up the the UK Singles chart in historic proportions. According to the Official Charts Company, 2013 is on course to be the biggest year for singles sales in UK history. Daft Punk’s number one single ‘Get Lucky’ featuring Pharrell Williams has sold over a million copies so far, while Robin Thicke‘s ‘Blurred Lines’ – another Williams guested joint – has sold over 828,000 copies. In the UK, purchases of singles are up by 2.5% from this time last year, which set the record for most singles bought. Rounding out the lists in the UK are Macklemore & Ryan Lewis (“Thrift Shop,” 680,000), P!nk (“Give Me a Reason,” 652,000) and Justin Timberlake (“Mirrors,” 632,000). On the rock side, Mumford & Sons are leading the pack of best-selling rock albums with last year’s Babel. Imagine Dragons takes the win for best-selling single with “Radioactive.” So far, they have sold 884,000 and 3.25 million respectively. In the albums’ world, rock album by the Lumineers’ (self-titled; 649,000) and fun. (Some Nights; 506,000) are trailing close behind. All three albums are last year’s stock. So far, many of the rock albums in 2013 that reached number one spot on the Billboard 200, including Queens of the Stone Age and Black Sabbath, aren’t even featured in the year’s top 10 rock albums. The only new album to be featured on the list is the mixed-genre soundtrack of The Great Gasby (387,000 copies sold) and Fall Out Boy‘s Save Rock and Roll, with 321,000 copies sold so far. Blake Shelton and Florida Georgia Line are leading the pack in the world of country. Shelton’s reasons seem as if they hinge to his involvement with NBC’s The Voice, but there’s more to that. His singles, “Sure Be Cool If You Did” and “Boys ‘Round Here” spent time at number 1 on the Nielsen BDS-driven Country Airplay chart during the first half of the year, and they appear at Nos. 3 and No. 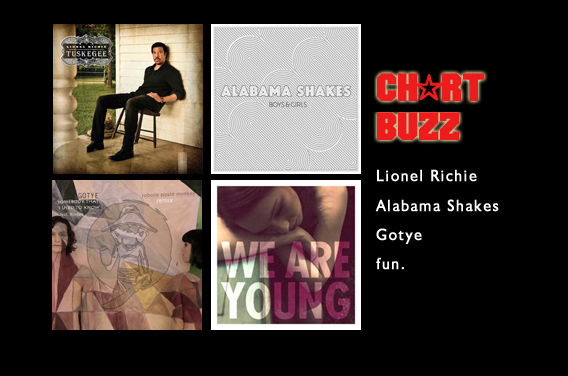 5 on the year-to-date top 10 Country Digital Songs list. Shelton’s album, Based on a True Story…, has sold 703,000 copies so far. Florida Georgia Line’s single, “Cruise,” which sports a guest spot from rapper Nelly, sold 3.1 million copies so far. Taylor Swift‘s Red, a 2012 release which has already reached platinum status, has sold 616,000 copies in 2013 so far, becoming the year’s second best performed album. No surprise on the R&B charts. 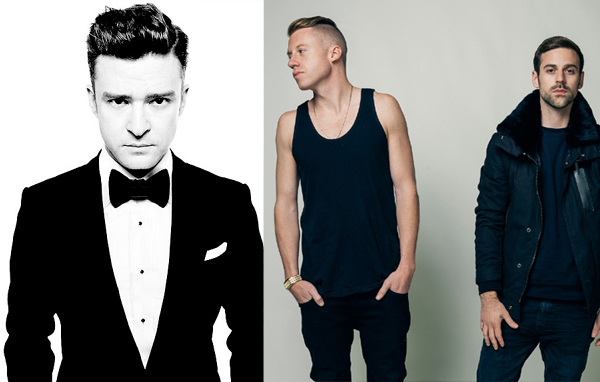 JT and Macklemore & Ryan Lewis, the year’s best acts in albums and singles, are holding down the fort in the world of R&B and hip-hop. Despite giving away one million copies of the album via select Samsung photo and tablet users, Jay-Z‘s Magna Carta Holy Grail is expected to sell near 350-400,000 in its first week. That number would have replaced Ye‘s Yeezus, but the data below comes from mid-year stats. On the flip side of optimism, Jonathan Blum of The Digital Spy wrote a very scathing article about the gloom and doom of today’s pop star, citing that Justin Timberlake is just doing enough to get by – that’s when you compare his recent success with The 20/20 Experience with the music industry of 1993. Blum compared Whitney’s The Bodyguard soundtrack, which sold one million copies in its first week and eventually moved 28 to 45 million copies worldwide. When you look at those figures, you’re bound to believe that JT is just a white dwarf in the cosmos of record sales. Still, with the music industry still rebounding from excessive piracy and now dealing with the streaming universe of YouTube and Spotify, which give pennies to artists for every stream, two million copies sold in the year 2013 doesn’t sound so bad.